We mainly deals with precision cnc machined plastic parts manufacturing company. We have used our integrated equipment included CNC machining, lathe, polishing and finishing services to complete them. The capability we have on CNC plastic manufacturing in incomparable. 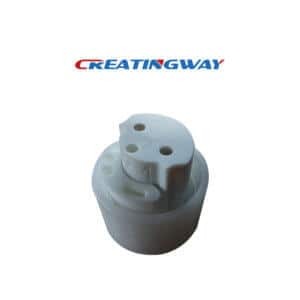 We produce plastics ranging from CNC plastic machining, micromachining plastic, plastic finishing process which involves polishing, painting etc to make its appearance better and aesthetic. Basically, some of the plastic parts need to be machined before polishing for greater and perfect results. We can expertly produce precision plastic parts and components to the customers from a wide range and varieties of industries. For instance we can make plastic machined parts for electronics, industrial, medical, auomotive, consume products, and even instrumental industries. Which material we can produce. Machining plastic parts enables us to take full advantage and control of all the material we use in production to ensures waste minimisation. We will do our best to meet your expection and budget. We make it possible for production of the most complicated plastics parts rapidly, and with both increased consistency and efficiency. We also have assurance quality detectors fixed on our production systems that can be able to detect any error or halt that may occur during production process. Our plastic manufacturing machine are very highly adaptive, which gives them the manufacturing plastic capability in many industries. For instance defence, communication, aerospace and even engineering making sure all our customers are fully satisfied. We are highly committed to our customer services, and we ensure that our customers orders reach them on time. This is to ensure that our customers are fully satisfied with a quality service and products. All our customer should expect quality service from time of ordering to the time of final shipment. It’s evident that we are the best machining plastic parts manufacturer company since quality and pocket friendly machined plastic parts is a guarantee to all our customers. We are experienced in plastic injection mold and production, we always ensure you have rich knowledge concerning our capabilities for easier decision making. Customers design challenges to manufacturing, we have experts who guide them in selection of the perfect materials and processes that meets their specifications.